Do you want to get some impressive shots? Then your solution is aerial photography. You will get some of the most incredible and outstanding photographs and video by capturing from the aerial perspective. The emergence of drones has made the world of aerial photography a lot more accessible to the individuals. The unmanned aerial vehicle is an effective option to get some stunning shots especially if you are involved in projects such as real estate. In recent years the use of drones has become widespread due to the availability of cheaper models. If you are considering using entry-level models, then they do not cost much whereas the serious models may be available by spending a couple of thousand dollars. The drone laws of the country have to be followed. 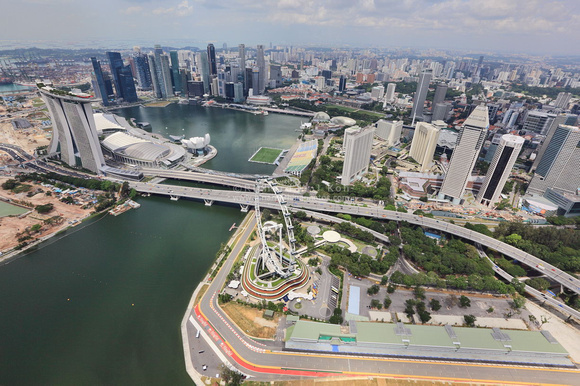 Use Singapore aerial photography to get the most effective photographs and video footage and take a look at the website of Singapore aerial photography to get advice from experts. The laws relating to drones are always changing. You should use Singapore aerial photography that remains updated about the latest changes in the drone laws. The process of selection of an appropriate aerial photographer is quite similar to that of the selection of any traditional photographer. However, the world of aerial photography is entirely different from that of the traditional one. You will learn to appreciate the aerial shots more when you know those photographs were taken in turbulent circumstances while flying at high speed. You also have to take into account the changing lighting circumstances. You are now able to realize that an aerial photographer has to face a wide range of challenges along the way to get some captivating shots. You should choose the right aerial photographer for your project. Since there are numerous photographers in the market, the process of selection is not an easy one. In the following paragraphs, some of the effective tips for choosing the right aerial photographer are mentioned below. Before you consider hiring a professional firm you should take a look at the portfolio of the clients. Get a taste of the stunning photography and stand out from the crowd with the beautifully captured aerial photographs. You should help your business grow by taking help of aerial shots. In this media crazy world make your presence felt with the help of professional photographers. Take their assistance for getting perfect shots which can be captured only from above. Take a close look at their website and find out what the past clients are thinking about their work. It is always a prudent idea to select a firm who has a team of experts who can handle all kinds of projects with ease. You should browse on the social media platforms to gather more information about the firm. You should inquire about the kind of relationship they enjoy with the pilots, about the type of aircraft they have flown, the gear they possess and their relevant experience.